Harith Lim signature darts in steel tip. Harith is active internationally in both soft tip darts and steel tip darts. He has played the PDC World Cup of Darts representing Singapore in June 2015. 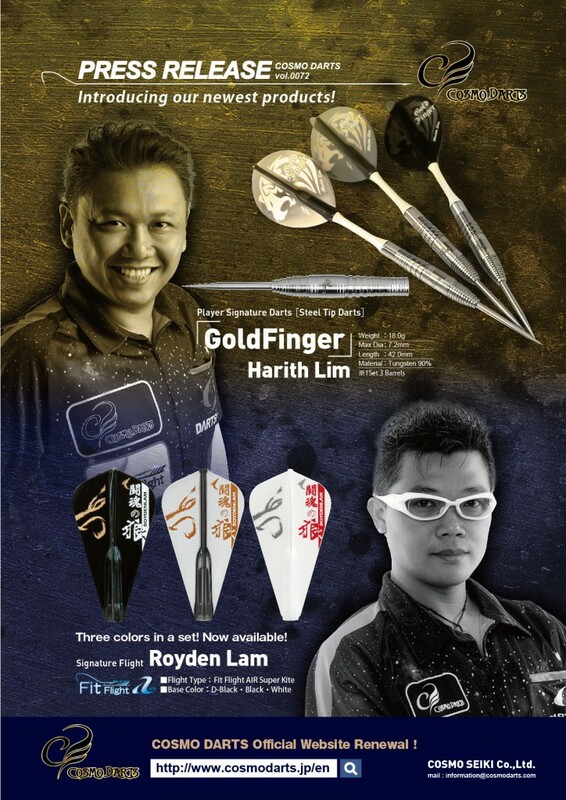 Royden Lam signature flights are newly available with three different colors in a set! Each set is 1 each D-black, Black and White. 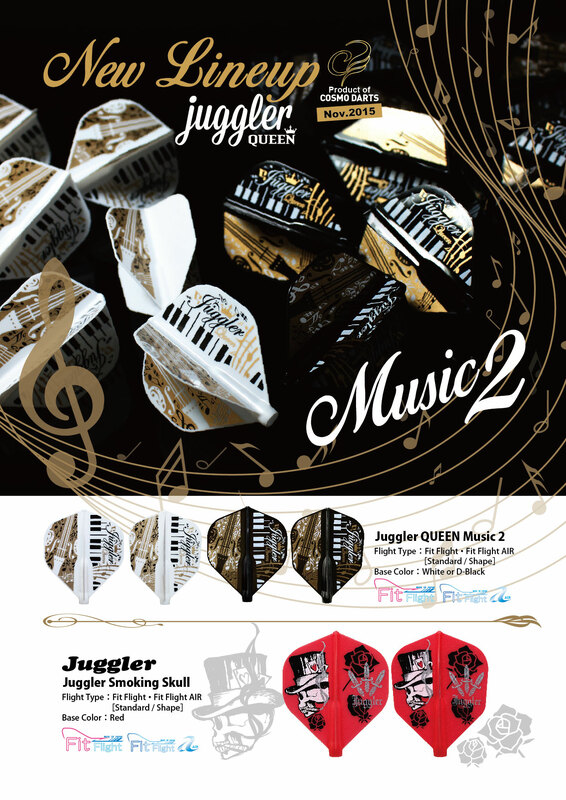 Juggler/Juggler Queen flights are limited in quantity. Please don’t miss your chance to get the one you like. The above products are available for sale from November 24th, 2015.